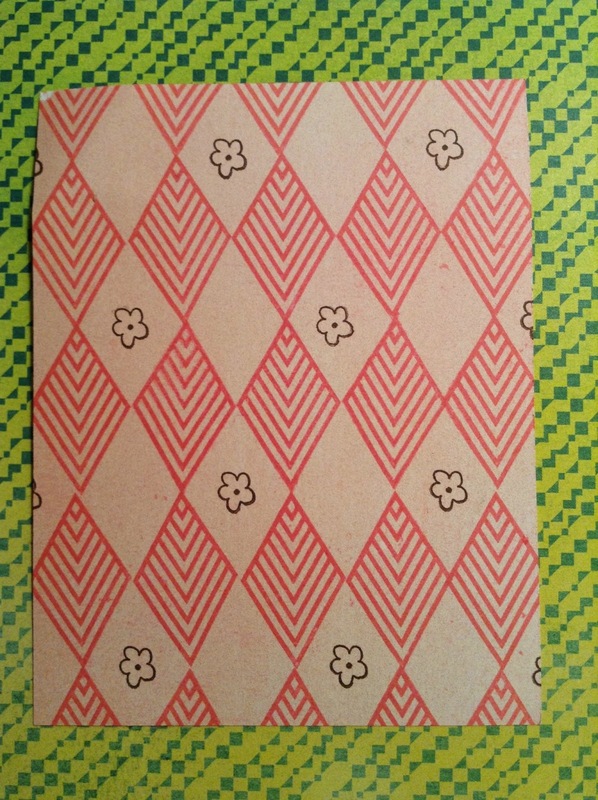 If you were to look up "Versatile Paper Collection" in the Dictionary, you might find a photograph of the Vivienne"I want it All!" Bundle by FotoBella.com! This collection by Basic Grey is one of the most versatile paper collections I have ever used! I made three "quick cards" almost immediately after I took it out of the FotoBella Storage Organizer, which is included in your Bundle! See how different they look, yet they are all cohesive! With so many colors and textures in the bundle, you will be able to create projects all year long! 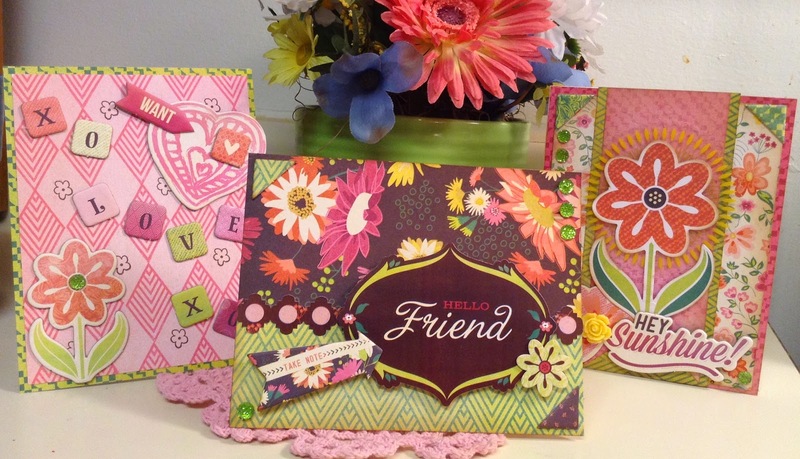 It is a perfect collection for Birthday, Thinking of You and even Valentines Day cards! Here is a fun little Valentine I made using some of the Vivienne chipboard shapes and one of the two stamp sets included in the Bundle. 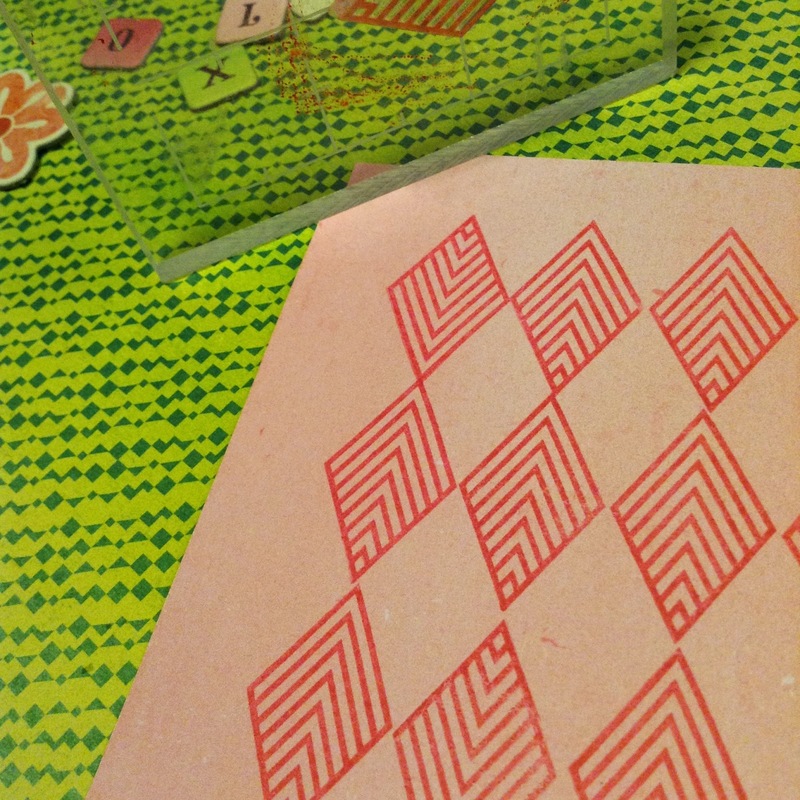 Cut a piece of 4" x 5 1/4" plain pink card stock (use the back of one of the patterned papers from the Bundle) Place the diamond stamp on an acrylic block, and beginning in the center of the card stock, stamp diamonds next to one another in a repetitive pattern all over the paper. 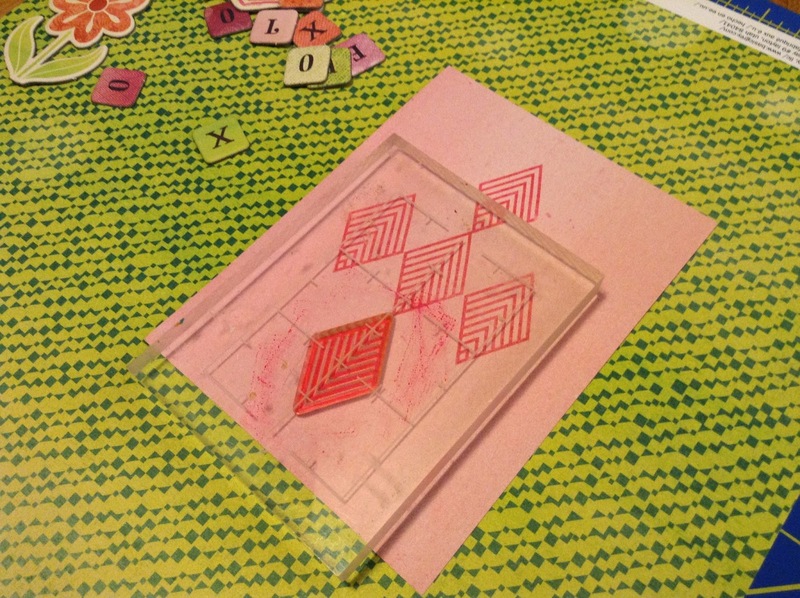 Be sure that you keep the stamped images as straight as possible as it is easy to leave gaps. The photo above shows what NOT to do! Notice the pattern on the diamond. The lines should be going in the same direction so the background looks clean and uniform! Stamp all the way off the edge of the paper. From the Good Day Hero Arts Stamp select the small flower stamp. Stamp a flower image inside the diamond shapes as shown. 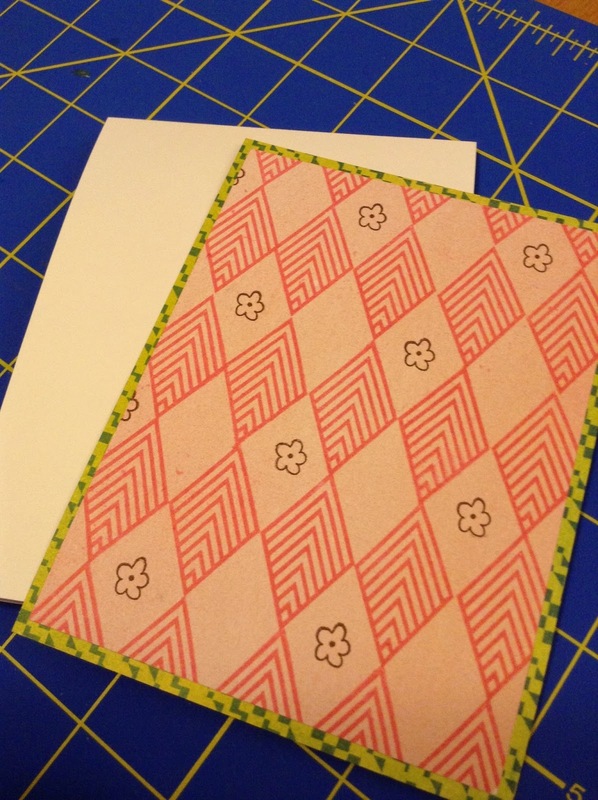 Adhere stamped card stock to top of 4 1/4 x 5 1/2 green patterned paper. Adhere card stock to a white card measuring 4 1/4" x 5 1/2 ". press down as shown and your card is finished! The Vivienne "I want it All" Bundle" is so versatile! 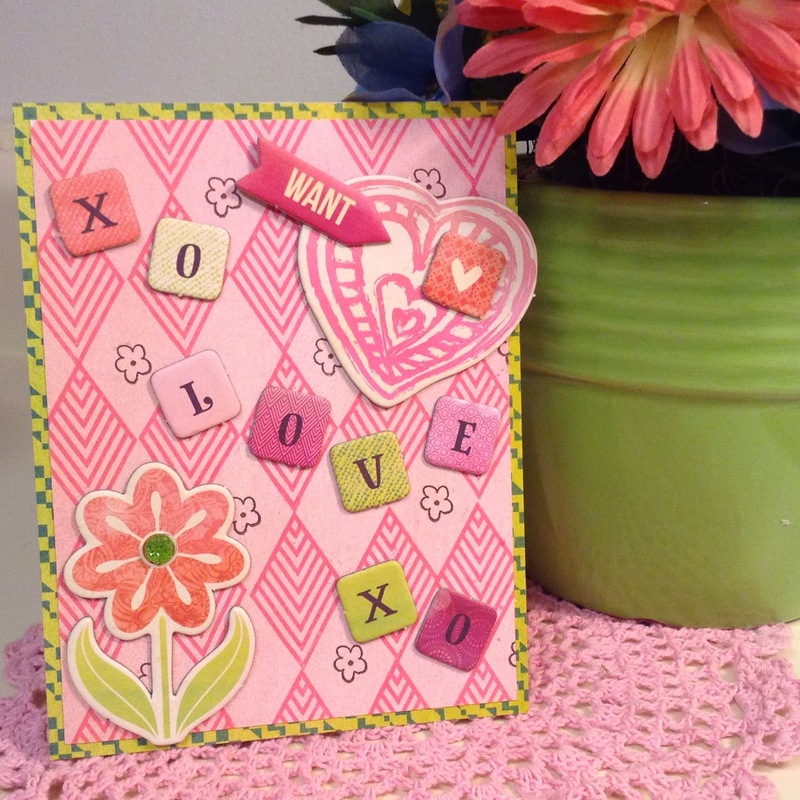 In my next post I will show you how you can make a cute scrapbook page with this beautiful paper! To order your Vivienne Bundle, go to our website, www.FotoBella.com!